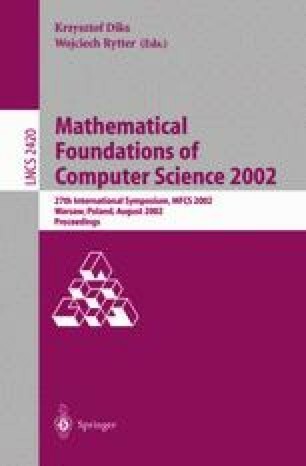 This paper presents simulation and separation results on the computational complexity of cellular automata (CA) in the hyperbolic plane. It is shown that every t(n)-time nondeterministic hyperbolic CA can be simulated by an O(t 3(n))-time deterministic hyperbolic CA. It is also shown that for any computable functions t 1 (n) and t 2 (n) such that limn→∞(t 1(n))3/t 2(n) = 0, t 2(n)-time hyperbolic CA are strictly more powerful than t 1(n)-time hyperbolic CA. This time hierarchy holds for both deterministic and nondeterministic cases. As for the space hierarchy, hyperbolic CA of space s(n) + ε(n) are strictly more powerful than those of space s(n) if ε(n) is a function not bounded by O(1). This research was supported in part by Scientific Research Grant, Ministry of Education, Japan.